Since 2007, the success of MU and the recognition achieved surpassed our greatest expectations. However, despite an ambitious roadmap, the charitable organization’s financial situation remains precarious as we do not receive any operational financing. It is thanks to your generosity that MU can continue to follow its mission and ensure its durability and its independence. Become a builder of an open air art MUseum! MU’s murals evoke, in a roundabout way, unexpected, everyday emotions. The murals allow everyone to experience Montreal in different ways, through different eyes via an artistic experience that leaves no one untouched. The creative process emerges from the studio. In all, the visual arts adapt to the street and open onto the community! Encourage creativity among young Montrealers! 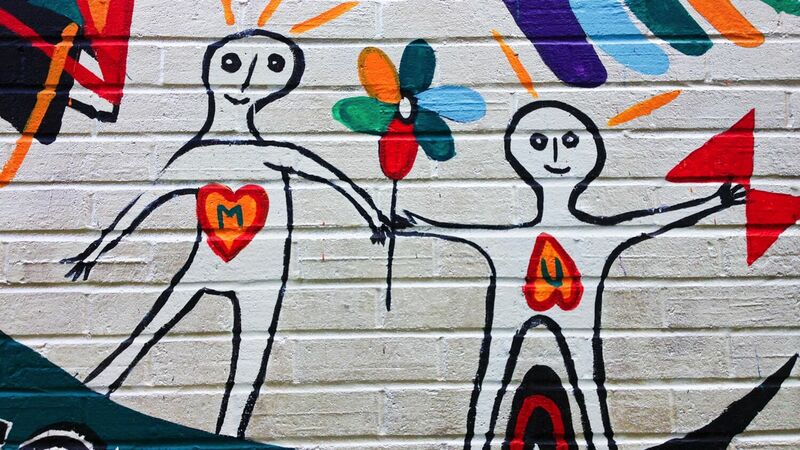 MU offers mural art youth workshops every summer in partnership with many local organizations, at the high school level via the extracurricular program Laisse ta trace (Leave Your Mark). Under playful and stimulating activities, youth learn about art as a creative way to self-confidence and the value of self-expression. MU thanks you for your generous support! Together we will succeed in making Montreal the One-Hundred Murals City! *As a non-profit organization (NEQ : 811229756RR0001), MU (directly or via CanadaHelps) will send you an official receipt for your tax returns for all donations of $25 or more.